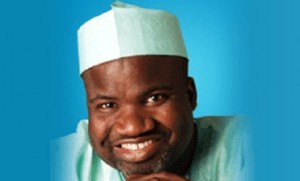 Popularly called ABB by his admirers, Abubakar Bawa Bwari, was born on 4th November 1963 in Tafa Local Government Area of Niger State. He had his primary education in Sokoto and Minna before proceeding to Government Secondary School, Suleja where he obtained his GCE “O” levels in 1982. He earned a Bachelor’s degree in Geography (1986) and a Master’s in Urban and Regional Planning (1990) from the Ahmadu Bello University, Zaria and is a registered member of both the Nigeria Institute of Town Planners and Town Planning Registration Council. ABB has had varied working experience in the public and private sectors beginning with his appointment as a planning officer with the Niger State Ministry of Lands, Survey and Town Planning in 1988 and setting up his own practice, Tropical Design Associates in 1994. ABB is a consummate and successful businessman with investment in several business ventures such as Gamji-Tee Aluminium Company, Mercury Nigeria Ltd, Interstate Property Development Company and Unipetrol Nigeria dealership. ABB is also an experienced and successful politician. He was elected as a member of the Federal House of Representatives representing Suleja/Gurara/Tafa Federal Constituency in 1998 and subsequently became Chief Whip of the House, a position where he served meritoriously over a period spanning 1999-2007. During his eventful period of service in the House, he was also elected as Vice President African, Caribbean, Pacific and European Union (ACP-EU) Joint Parliamentary Assembly and Chairman of the planning committee ACP-EU Joint Parliamentary Assembly in 2000. He was awarded Officer in the Order of Leopold (the highest honour bestowed on a foreigner) by His Majesty King Albert II of Belgium in 2004 and Doctor of Laws (LLD) degree by the City University of Los Angeles in 2004. ABB is widely travelled and enjoys sporting activities (he is known to be an excellent Football Match Commentator). He also enjoys reading and continues to be actively involved in environmental issues and projects that directly impact on the lives of his people.